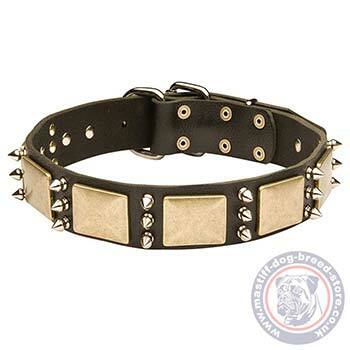 Handmade dog collars are the superior quality dog accessories for large dog breeds of mastiff type. in the order to make them super durable and reliable for control over large dog breeds, we use thick and strong, but soft genuine leather to make it reliable and comfortable at the same time. Spiked and plated design makes your dog look stunning! 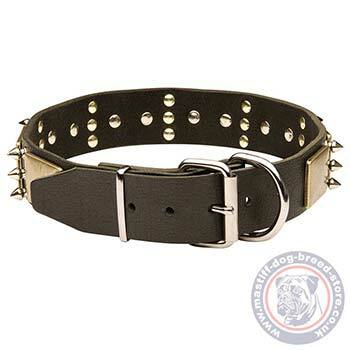 Underline the style and original breed of your dog with the best quality leather handmade dog collars! !